JOIN ENRICH LA BY BECOMING A MEMBER. HELP GREEN LOS ANGELES SCHOOLS. 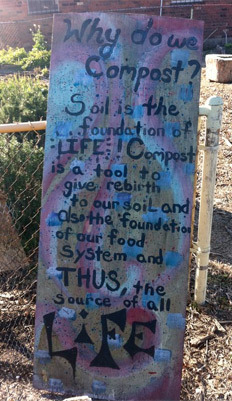 YOUR TAX-DEDUCTIBLE CONTRIBUTION TO THE MOST FRUGAL NON PROFIT IN LOS ANGELES WILL GO DIRECTLY INTO OUR SCHOOL GARDENS. Get a garden + the Ranger program in your school now. We have built over 100 in Los Angeles. We move rapidly. We take care of the permits. We make it ridiculously affordable. We are frugal. We can take on existing gardens and we know how to fix things. You want your group volunteer day to actually mean something? You want lasting impact? We are so busy, we can guarantee almost any date you choose. You want to see results. It is easy to help out. We are in 100 Los Angeles schools weekly and we care for our 100 gardens 332 days per year. If you want to help , we will put you to work. We are growing so rapidly that no matter what you have to offer, we likely need your talents. Engage today. Volunteer tomorrow. Farm King needs volunteers to help man/women our booth at several upcoming events. To sign up to help, please click here. John Adams Middle School Garden…On The Way! Greater Griffith Park Neighborhood Council Approves $1500 for Los Feliz Charter! Harvey Milk Day of Service at Roosevelt Senior High School! Please explain what it felt like the first time that you used your own reusable tray? Did you feel nervous? What did the people around you think? Farm King on CBS news! Farm King on CBS news! – Click on the photo below to see the video! Click here to check out the great article in GOOD Magazine about Farm King students saying NO to Styrofoam in LAUSD cafeteria. Saturday- A beautiful day for gardening! Students raised the Styrofoam tower representing LESS trays then are used in 1 day on campus. We also made a coconut veggie curry, salad, planted seedlings and more! Huge garden day! We made amazing wraps that were delicious. We harvested salad to feed 50 people at the Friends In Deed food pantry in Pasadena. We continued our giant Styrofoam tower and we prepped new beds for tomatoes.